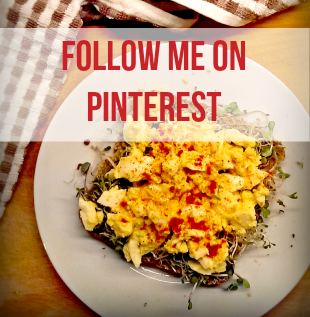 I make this on evenings when I’m tired from work and want instant dinner. If you have brown rice cooked it literally takes 10 minutes. It’s super filling, so tasty and full of really good healthy food. You can really tailor this recipe based on whatever greens you have to hand, I’ve tried loads of versions and it’s always super tasty. 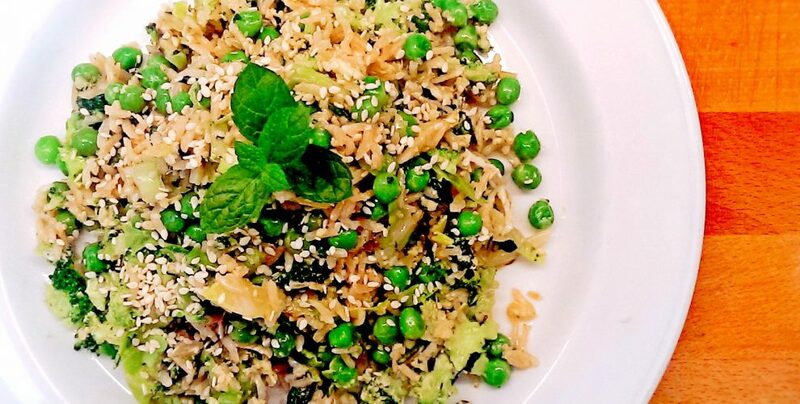 The only thing I feel that can’t be forgotten is the peas – they add a sweetness and texture that really compliments the brown rice and sesame. Quick & Tasty Egg Fried Rice! 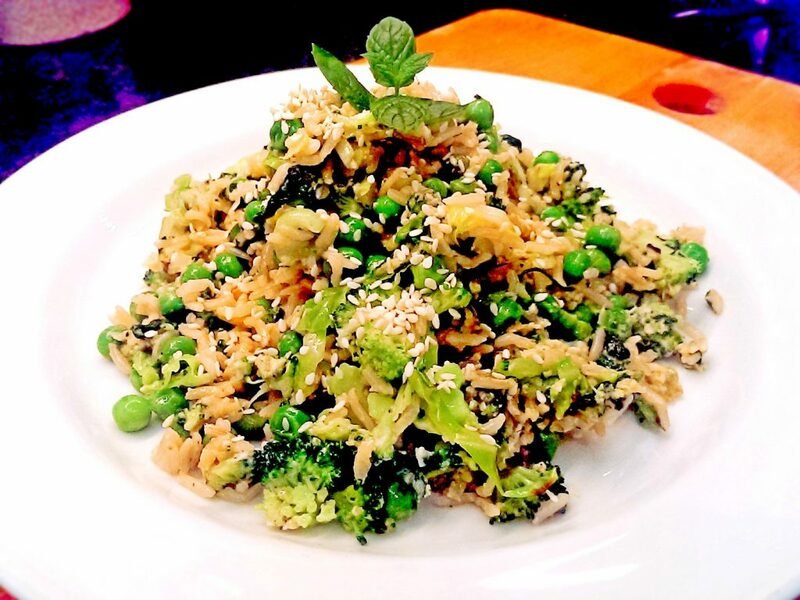 I didn’t specify the exact amount of each because you can really just eyeball it, a few cabbage and pak choi leaves, a handful of spinach, a few florets of broccoli, a good sprinkle of peas – it’s not an exact science, this recipe is very flexible! Cook your brown rice as per the package instructions. I usually cook a batch at the beginning of the week and use it 2-3 times during the week to save time. Chop all of your vegetables into small chunks and mince your garlic. Put a good lug of olive oil in a wok and add the cabbage, broccoli, garlic, and pak choi and saute for 5 minutes on a medium heat. 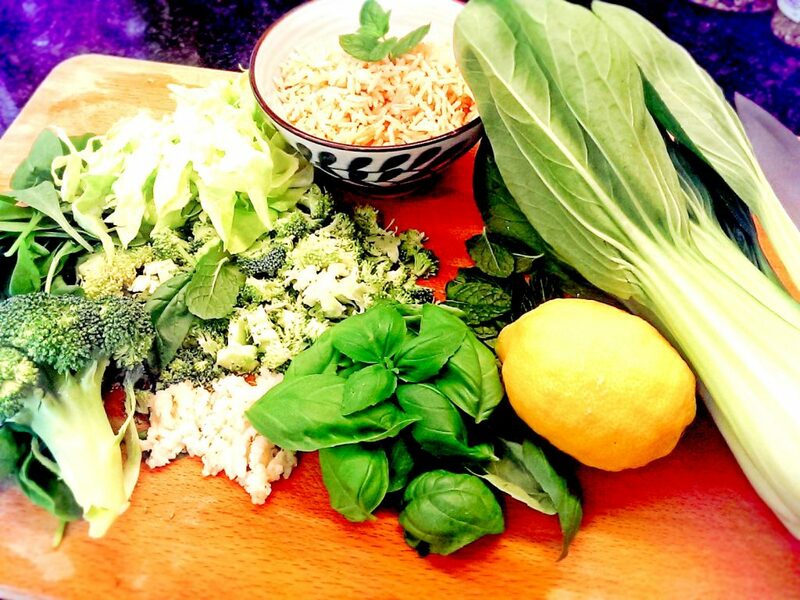 Once your rice is cooked put a small handful into your wok along with the spinach, frozen peas, basil, mint, squeeze half a lemon juice on top and toss. 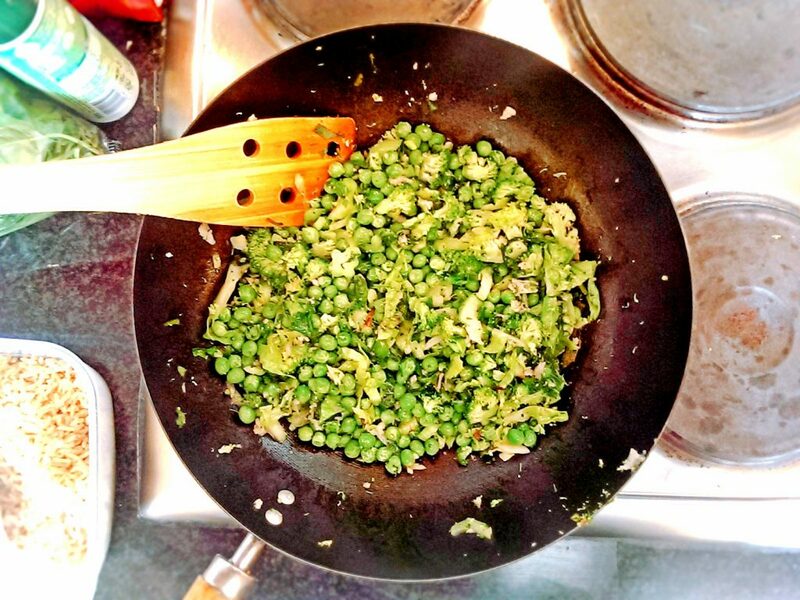 Cook for 5-7 mins until the peas have thawed, stirring occasionally. Crack your egg open straight into the wok and mix vigorously until everything is coated and the egg is cooked (about 2-3 minutes). Drizzle some sesame oil on top season well with salt & pepper, toss thoroughly and serve.